A good option to get around the city of Calais ! 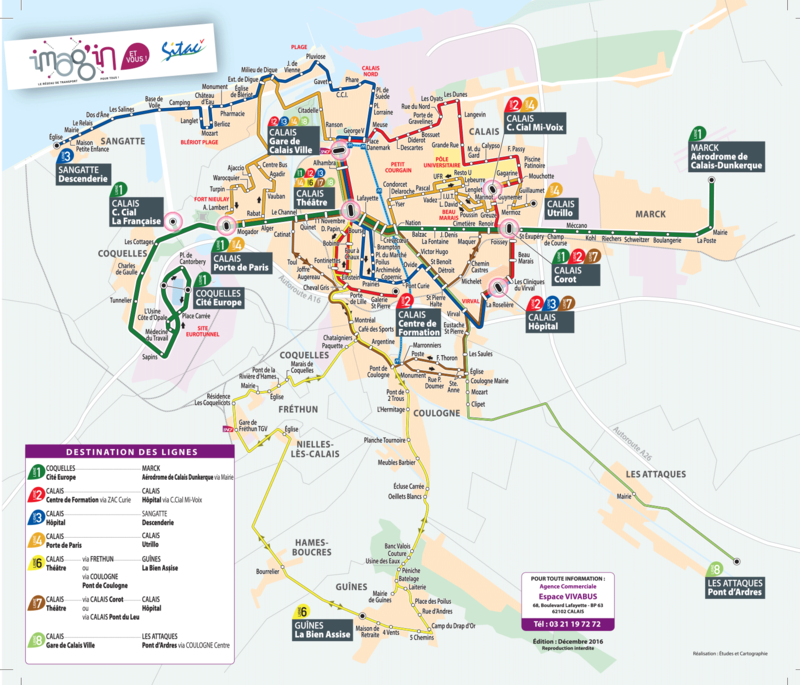 The CALAIS OPALE BUS public transport network operates 11 routes in Calais and the towns of Sangatte, Blériot Plage, Coquelles, Coulogne, Guînes, Marck, Frethun, Les Attaques, Nielles les Calais, Hames Boucres. An amended service operates on Sundays and public holidays (and also on Fridays and Saturday evenings). Calais Theatre and Calais-Ville railway station are the 2 main hubs on the network. A number of different tickets and passes are available. Most tickets can be bought on the bus. The Espace Vivabus, the network’s sales office, is in Calais city centre, close to the theatre. Tickets can also be obtained from tobacconists and newspaper kiosks. A free way to get around the centre of Calais! Operating from Monday to Saturday (9 am to 7 pm), these shuttle buses cross Calais from north (the fishing port) to south (Boulevard Lafayette). Buses run every 10 minutes and call at 8 stops along the route. To help you plan your visit to the centre of Calais, it is worth noting the following stops: Place d’Armes for the Calais Nord quarter, Alhambra for the Town Hall, the Burghers of Calais statue and the Musée Mémoire 1939/1945 and stop 4B for the Saint Pierre quarter. Fancy a little trip to Cap Blanc Nez? 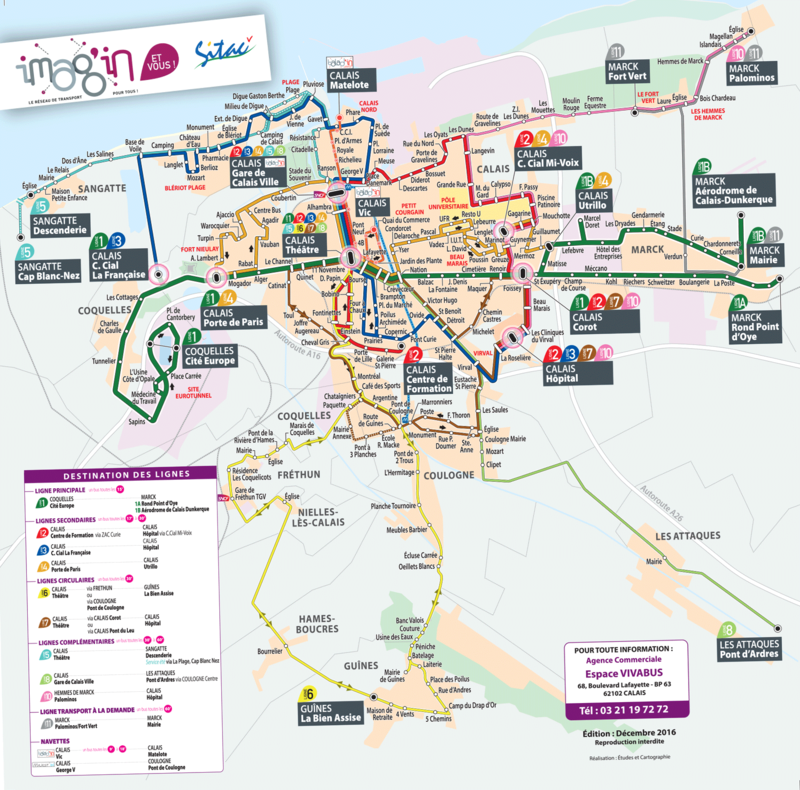 Well, during the holiday season you can, thanks to the Calais Opale Bus network! The Div’in is a double-decker bus which follows the number 5 bus route and then continues to the famous cliffs. Or call in at the Tourist Office and pick up the Calais Côte d’Opale Bus Guide (subject to availability). The Majest’in, a boat service along the Calais Canal. Vél’in, a self-service cycle hire scheme. Calais-Ville station is one of the main railway hubs in the Nord Pas de Calais region. The neighbouring towns of Boulogne, Dunkirk and Saint Omer are all within easy reach of Calais. So why not enjoy a day out during your stay?